Get ready to create a bright, colorful, creative canvas at Parent’s night Out! 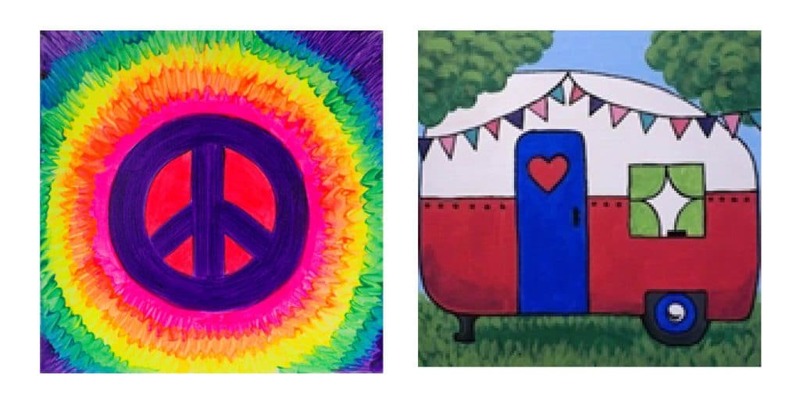 Kids will get to paint their choice of the “Neon Peace” or “Happy Camper” canvases! Our Parent’s Night Out instructor will show them how to follow the design, and add their own personal twists on their creations! Call (828) 253-8181, message, or visit our website to sign up! PNO is every second Friday from 6:00pm-8:30pm!